This was not the usual Saturday where I have to "hunt" for my dinner. The usual dinner is at my mum's house – home cooked food. They had programme on that day. Therefore, we have to eat on our own. You know how it's like on Saturdays and Sundays where malls are packed with people. Popular restaurants with long queues that snaked to other shops. Well, I'm not ready to queue that long, because by then, I would probably faint of hunger! There is one place with lots of good food hunts, and you can find restaurants that are half empty – City Square Mall. It's such a shame that a rather nice place there, with truly a lot of food joints, don't have enough crowds on weekends. I just hope the restaurants or cafes don't close down one by one. My favourite restaurant is Sushi Tei. However, for that day, I would like to try "new" place. Olio has been around for a long time. 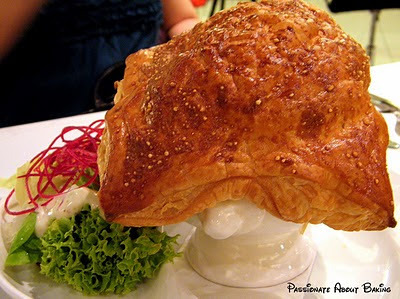 I remembered when I started dating with my spouse, visiting Olio Dome (in Wheellock Place) was like a a treat. Back then, we were not earning a lot, so that kind of prices was considered a luxury to us. From then till now, there were a lot of value for money cafes that sprung out every now and then. So, we haven't been visiting Olio for a long long time. Therefore, for our dinner that day, I decided we shall try Olio with our children. The outlet in City Square Mall was only 40% occupied when we arrived at 7.10pm. It was quite a pitiful sight. We sat down, looked at the menu and was totally blank. There were just too many good foods which we cannot decide! Finally we ordered the following. Braised Cod Fish ($15.90). 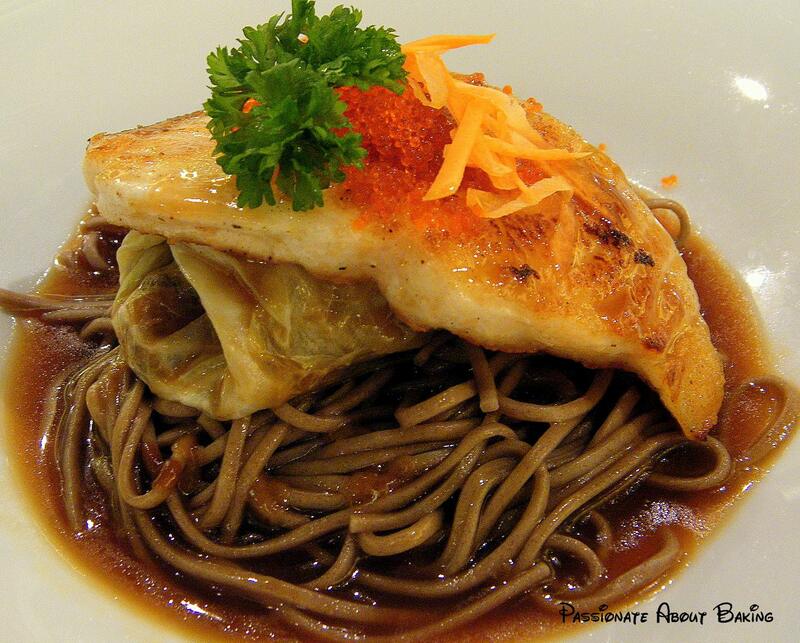 The cod fish is served with soba noodles and cabbage wrapped mushrooms. 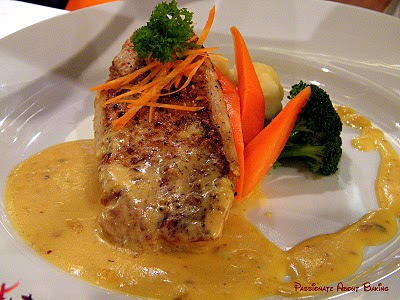 Cod fish taste good without the fishy taste. Generous portion of fish roe sprinkled on the cod fish. 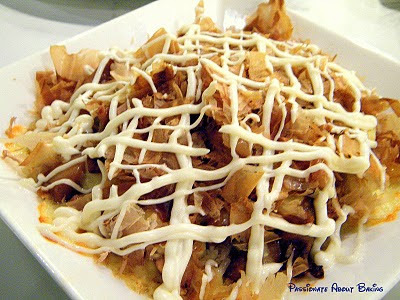 A parcel of cabbage which wrapped shredded mushrooms, turnips and carrots was very sweet and soft. Soba noodles tasted really nice on pool of teriyaki sauce. The dish wasn't very warm, more like at room temperature. Catch of the Day ($14.80). The catch of the day that my spouse had was snapper. I wasn't sure about the taste of this. I figured it wasn't too bad because I didn't hear him complaint. :p I noticed that the vegetables were served on top of mashed potato. Japanese Teriyaki Chicken Steak Baked Rice ($11.50). The teriyaki chicken was topped with tuna flakes. Generous chicken pieces was given. The teriyaki sauce was sweet and not very salty. It goes really well with the japanese rice. My son was delighted when he found more chicken pieces underneath the rice! It was a huge portion altogether! 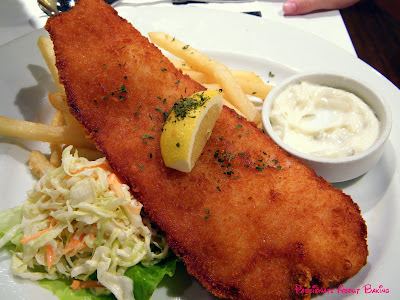 Golden Fish & Chips ($14.90). Crispy breaded fish was served with tartar sauce with a squeeze of lemon. It was crispy on the outside and soft inside. My children enjoyed the fish. Long strings of crispy chips complimented the fish. A small portion of coleslaw helped to cover the oiliness of the fish and chips. Olio Gourmet Beef Stew Pie ($13.90). An interesting way of serving the pie. A small dish of salad was served alongside with the bowl of pie. I didn't get to try this. However, my helper said this dish was very very nice. I recommended her to try this. :) She was very happy with this dish. I saw her eating chunks of beef from the bowl though. Munchy Combo Platter ($13.90). We ordered this based from the recommendation by the service staff. 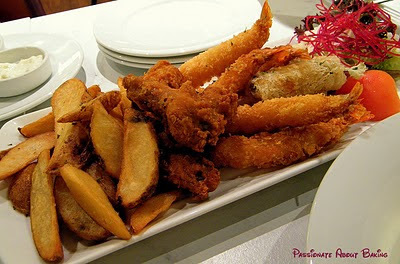 It consisted of potato wedges, fried prawns, spicy fried chicken wings and fried vietnamese spring rolls. The spicy fried chicken wings were a tad too spicy for the children. The vietnamese spring rolls tasted really nice with their sweet and sour chilli sauce. There were too much deep fried in this dish. If you're quite health conscious, you may skip this. Overall, I only like the vietnamese spring rolls. The rest were just ordinary. Olio Sizzling Brownie ($6.50). It was served in a hot plate. The service staff poured the hot chocolate syrup into the sizzling hot plate, and topped it with crushed peanuts. 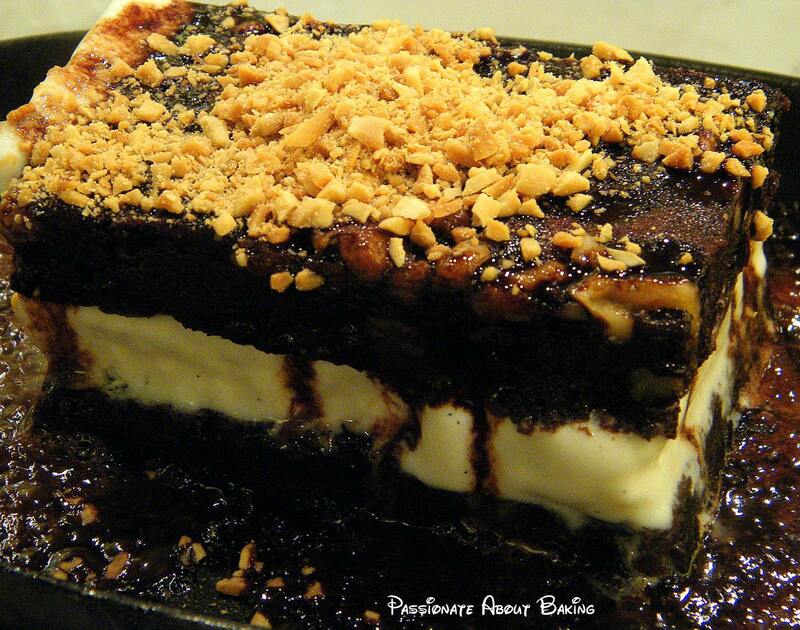 There were three layers – brownie, vanilla gelato, then brownie. The warm brownie mixed with the very cold gelato was a warn-cold feeling, where you "hoo" out with the ice-cold gelato. I cut the small piece of brownie into six tiny portions to let everyone have a share. We all amicably agreed that it was worth the tummy space even though we were really full. Overall, we had a good experience. Most importantly, the children enjoyed their foods too! If you use Standard Chartered Credit Card, you can get 15% off your total bill. Great review! It was a great read :) Thanks! Jane, I wanna eat the golden fish and chips, I can hear the crunchy sound of me biting it, yummy! Ooh...I didn't know both of you are such a big fan of fish and chips! Me too! Let me recommend you to a place which I found has very very good chips. It's called "The Mussel Guys" in Vivo City. It has the best chips I've tasted so far in Fish & Chips! You must try it if you are there! This really brings back memories. When I first came down to Singapore I used to hang out at Olio Dome as well. Mine was the Park Mall outlet. Great reviews and I still love their flat white coffee! It's such an coincidence that I had olio @ marina sq on sunday too. Like u, me & my hubby used to go olio rather often when we were dating. This round, we had sambal crayfish pasta, salami pizza and kid's meal baked rice, I must they tasted great!! 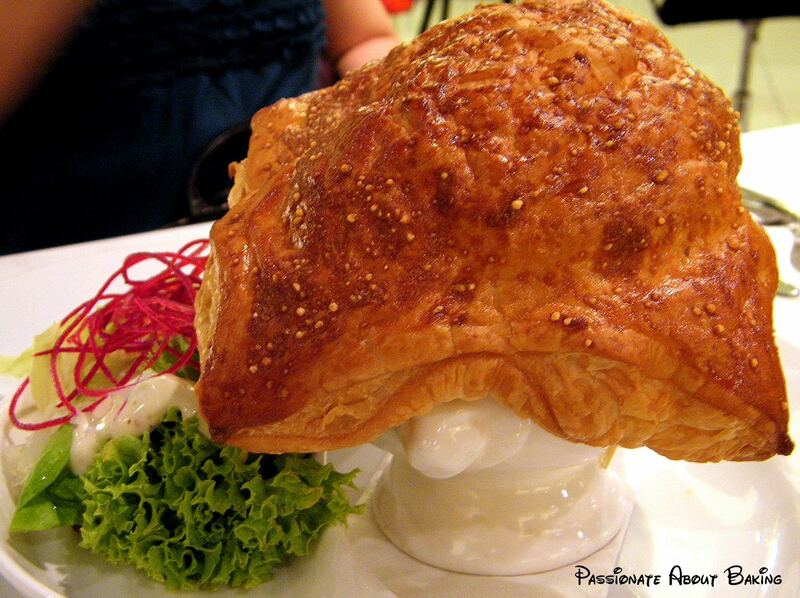 I like your idea of having food review in your blog ;-) keep them coming. Oh, that was really a coincidence! The food you had sounds great too! There's just so many choices we're really spoilt for choice, but can't simply have everything!